Its upper is washed with gold glitter to give the sand denim “Denise” slip-on from Hush Puppies’ Soft Style a unique look. 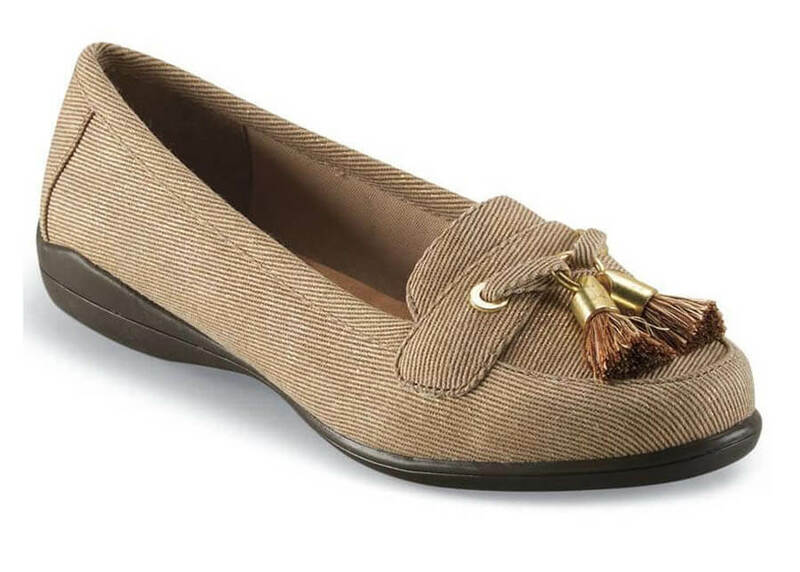 Fully lined with smooth microfiber, theeasy-going tassel shoe has a Soft DelightTM footbed of cushioning foam. 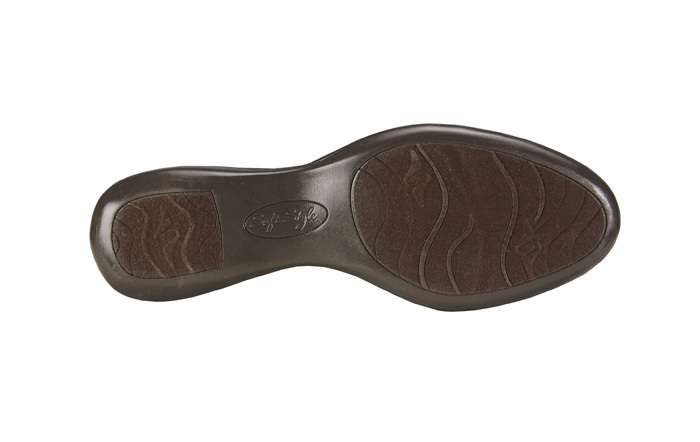 The molded outsole has traction inserts at forefoot and heel. Originally $54.95. Limited stock in women's EW width in sizes indicated.